Christmas. Don’t get me wrong. I enjoy the time of year. But there is a certain part of me that wishes I were somewhere else on Christmas Day. This feeling tends to occur at around 3pm. Christmas Lunch is over. The extended family have settled around the TV. The windows are closed to keep the chill air out and slowly, but surely, the Queen’s Speech becomes obscured by a moist fog of satiated body heat as we all settle into a collective slump to waste away the final days of the year. For several years we had endured the fog of Christmas and then fled to the coast on Boxing Day – to inhale the fresh air of freedom granted to us by the Great British Countryside. 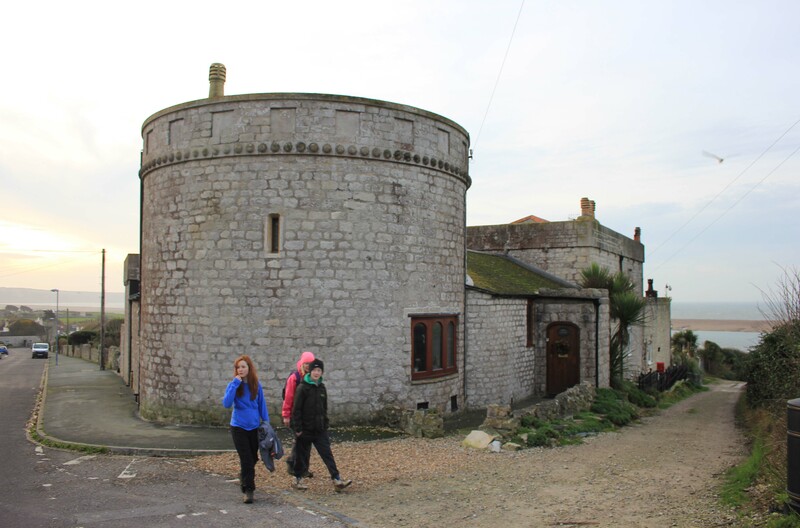 In 2015 we couldn’t make Boxing Day, but the 28th was available and so in the early morning we fled down to Weymouth. 2015 you ask? But I’m writing this in January 2018! Yes, for that was our last Coastal Walk. By 2015 our kids had grown into teenagers. They had also grown tired of giving up every weekend to coastal walking. I can’t blame them, and I am proud of what they have achieved – 700 miles from Southend to Swanage. But they were at that time of their lives that I remember well when I was their age. My wife puts it best: they are cocooned in their bedrooms like chrysalids, but one day their bedroom doors will open and they will emerge as beautiful butterflies. But until then they need to be in their rooms and not down at the coast. 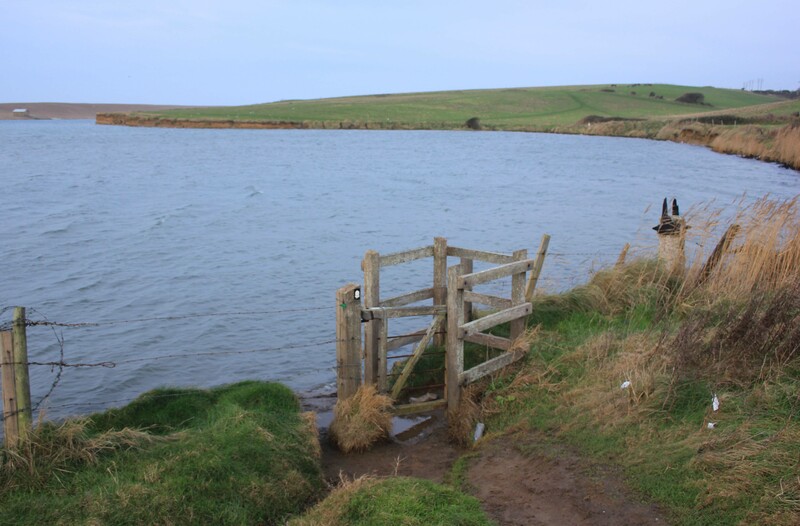 So today, 28 December 2015, was to be our last coastal walk for a while. We left early – around 5ish (do you begin to see why there were objections in our household). 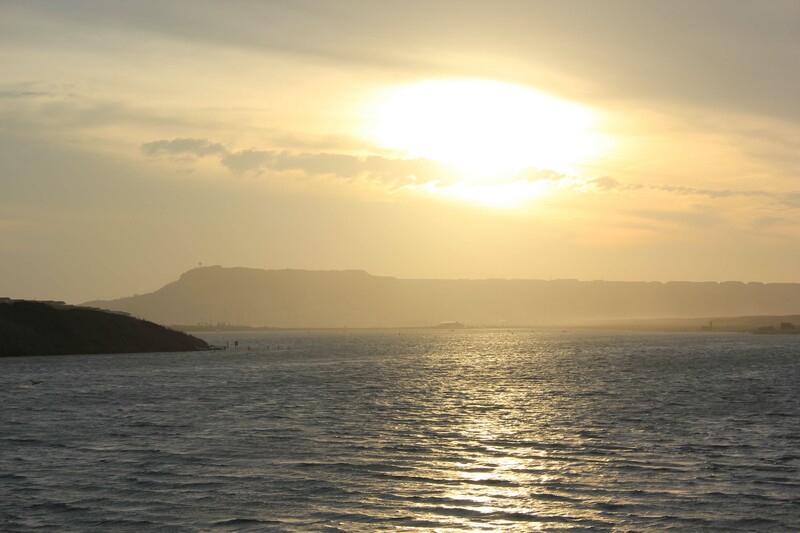 We arrived at Chesil Beach in the early dawn. The lights of Portland called to us, but we were headed in the other direction, away from Portland and towards the wilds of West Dorset. Our route today was the “inland” route following Chesil Beach. Given I am writing this post some two years after doing the actual walk I hope you will forgive me my memory, which is mostly dictated by photos I took on the day. I remember seeing what I assume were muntjac. I remember our path was flooded, meaning we had to double back and navigate around fields. I remember walking by Wyke Castle, built in 1865 and influenced by the Martello Towers of which we had seen so many during our travels. 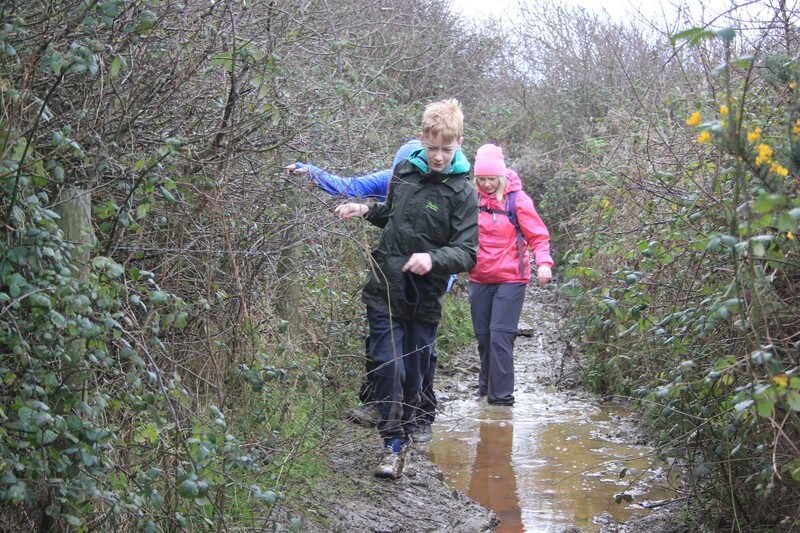 And I remember the mud – the glorious mud! But most of all I remember the beauty and warmth of the sunrise over Portland. This will have to be the lasting memory for now. As at January 2018 we are talking about going back for our next walk this Easter. Will it happen? I do hope so. For now, there is one other thing I will need to remember: Australia Road in Charlestown, Weymouth, for that is where we left off, and so that is where we will need to pick up. 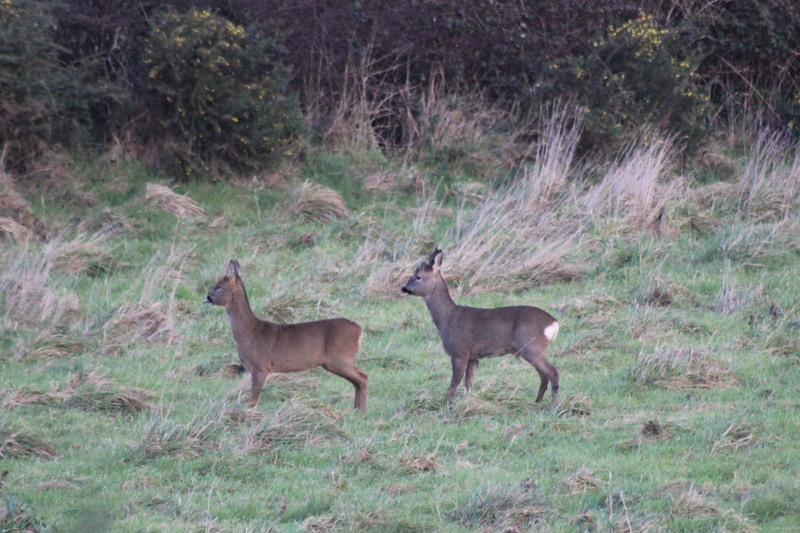 This entry was posted in Dorset and tagged coast, Dorset, muntjac, portland, teenagers, travel, walking. Bookmark the permalink. I quite enjoy a day or two of doing little at Christmas but after that I’m usually becoming desperate to get out, though a 5am start is true dedication! Nice to see your last coastal walk, even if it was disrupted with flooding. Hope you can make it back to the coast at Easter. Thanks JC – I just booked the hotel. Fingers crossed! 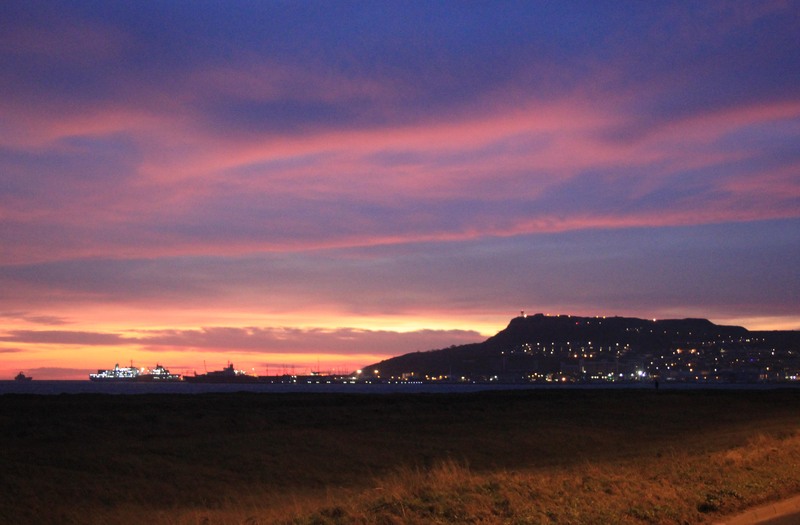 We have loved reading the accounts of your Coastal Walks and seeing the photos. You are probably not going to put your feet up any time soon despite what those teenagers do. We look forward to the account of the Easter adventure. Thanks Liz – very kind of you to say so. I’ve just booked the hotel for Easter, so fingers crossed. And as for putting our feet up? Nah! In fact we’ve just booked up for the Yorkshire Three Peaks later in the year. Let the training begin!! Here’s hoping your plans to resume at Easter come to fruition. I for one have thoroughly enjoyed reading your exploits. Thanks Ju – and I yours. I’ve just booked the hotel for Easter so fingers crossed. I was keeping my fingers crossed for you to return to walking:) I developed a mild obsession with your blog, it’s so much better than Wikipedia, and I love your sense of humor. So far, I read all of your Essex entries, and also “crossed” into Kent. Looking forward to reading new posts! Me myself, I am still on the Essex part of the Estuary.